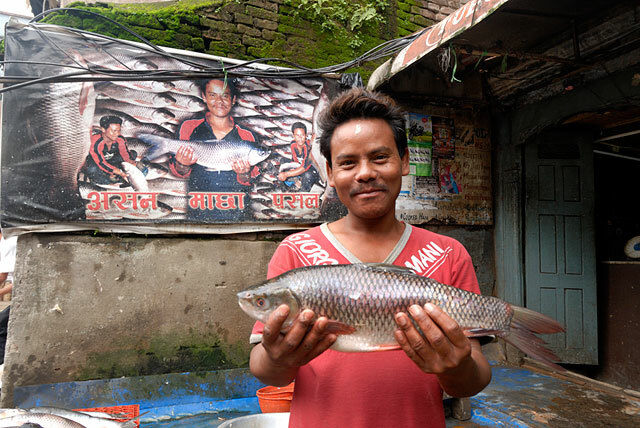 Description: Shambu Chaudary giving me re-pose infront of his fish shop banner at Ason and I promised him to make one print of it. Ason is the most famous marketplace of Kathmandu and it is perfect location for photo assignment. I went there with my participants of SCC Basic Photography Workshop and this is one of my capture.